ristol-Myers Squibb has earned a spot on this year’s Working Mother Magazine’s 100 Best Companies list. This honor marks the 21st consecutive year the magazine has recognized the company for encouraging female advancement as well as the comprehensive array of benefits offered, including on-site childcare and flexible work options. Catherine Liu, Corporate Financial Planning & Analysis at Bristol Myers-Squibb, and her eight-year-old daughter, Samantha, her six-year-old son, Nicholas and her two-year-old son, Alex. Catherine Liu, Director, Corporate Financial Planning & Analysis, has been with Bristol-Myers Squibb for more than 13 years and attributes her longstanding time with the company to BMS' family-friendly environment and flexibility. 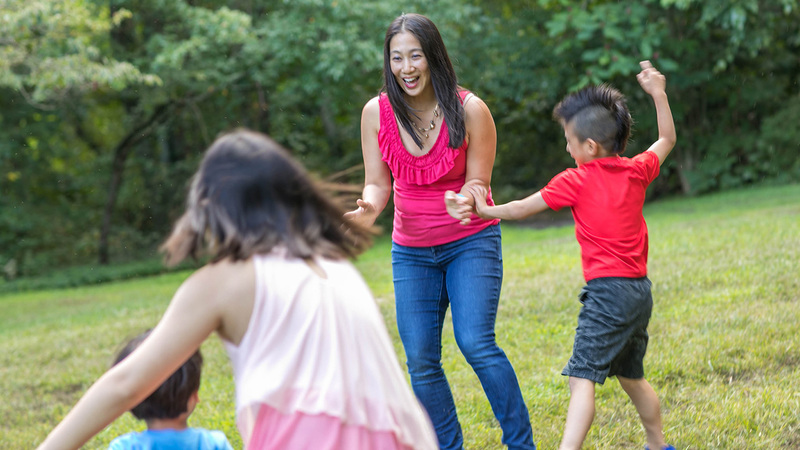 Now in her sixth role at Bristol-Myers Squibb and with three children between the ages of two and eight, Liu has figured out how to successfully navigate being a working mom. She says that she couldn’t have advanced throughout the company without the support of her managers and the incredible benefits of the Child Development Center. Liu took advantage of the full day coverage offered by the center, 7:30am to 6:30pm weekdays, with all three of her children. Her daughter Samantha, eight years old, and her son Nicholas, six years old, were at Bristol-Myers Squibb childcare center from the time they were toddlers through kindergarten. Her 2-year-old son, Alex is currently enrolled at the Lawrenceville N.J. location. The support provided by Bristol-Myers Squibb comes from a team of understanding managers and peers as well. Liu says that the company is incredibly accommodating whenever a child is sick. To see Bristol-Myers Squibb’s write-up in Working Mother, click here . The complete list of Working Mother's 2018 100 Best Companies can be found here. We are one of the 2018 Working Mother 100 Best Companies — marking the 21th consecutive year that our company has made the list. The company was recognized for encouraging female advancement as well as the comprehensive array of benefits offered, including on-site childcare and flexible work options.